The story of TH Machine tools is a fascinating one of integrity in business, hard work and commitment to customers. 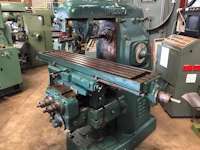 TH Machine Tools is an indigenous, family-owned, South African Company that specializes in the selling of used, reconditioned and new fabrication and engineering machines. Theron Hugo is the founder and owner of TH Machine Tools. In 1990 he resigned as engineering technician from the then prestigious Uranium Enrichment Corporation of South Africa and won various contracts as a specialist technician to upgrade, automate and rebuild various special purpose machines. Using his expertise he also started designing and building new purpose-built machines. During this time he worked for Promex for six years, building new and reconditioning old machines that put together medical components, while the Company was in full production and production schedules had to be adhered to. In 1992 he started his own workshop, equipping it with engineering machines to manufacture parts. He found that he enjoyed it immensely. 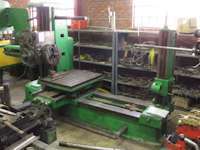 As a sideline he also bought and reconditioned engineering machines and sold them for an additional income. Up to 1995 it was a one-man business (TH Design and Engineering) but then he employed his brother, Christo, and trained him. 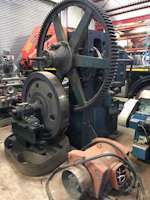 As a result the buying, reconditioning and selling of engineering machines drastically increased the turnover of the business. Based on the wise advice of Mr Henny O’Kennedy (Financial advisor) the two lines of business were separated and two CC’s were established: TH Design and Engineering CC and TH Machine Tools CC. In 1996 his father bought a smallholding in Melody, Hartbeespoort, where Theron was granted permission to construct a shed to park his trucks loaded with machines. (Up to then all the business was done in the backyard of Theron’s home in Schoemansville). During the following year the business expanded rapidly. Additions were made to the building and more employees were appointed. Later the building was expanded to 2500m ² and 2 overhead cranes were mounted. 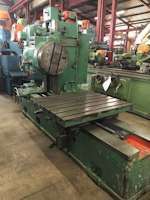 At the same time Theron negotiated with Coolline (Germani) and they started importing fabrication machinery, soon after which they started to import manufacturing and engineering machinery as well. Through these developing years the business experienced the blessing of Our Heavenly Father and the business performed exceedingly well. All the glory and honour to Him!! Our motto: First time right. Theron’s gardener who worked for him once a week since 1984, gradually got more involved as a full-time worker of TH Machine Tools until he passed away in 2015. Many of the employees started as temporary workers at the lowest level and were trained at TH Machine Tools. Very pleasant spirit amongst employees and management. The Company was / is involved in various social upliftment projects in the Madibeng area.